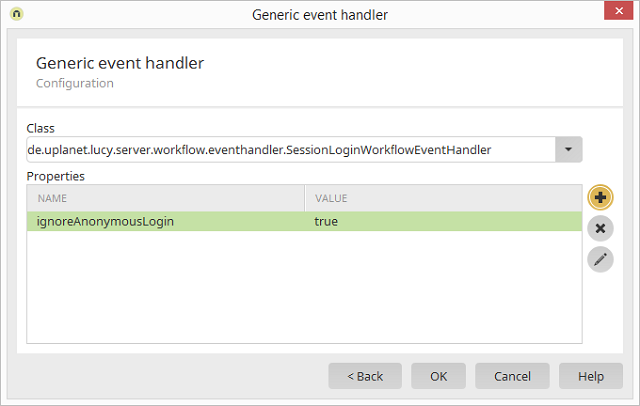 de.uplanet.lucy.server.workflow.eventhandler.UWEventHandler.description=This handler can be triggered by a user event. The name of the property is shown here. The value of the property is shown here. Opens a dialog where the name, type and value of the class can be defined. Opens a dialog where the name, type and value of the class can be edited. The portal property Enable login process event is required for the class de.uplanet.lucy.server.workflow.eventhandler.SessionLoginWorkflowEventHandler.